The tough standards favored by former President Barack Obama "are no longer appropriate and reasonable" beyond 2020, according to the proposal released by the Environmental Protection Agency and National Highway Traffic Safety Administration. The two agencies will gather public comments and hold hearings before the rule changes can be implemented. The less stringent standards would apply to model years between 2021 and 2026. Trump's move concerns a deal originally struck between Obama and many leading automakers in 2011 that envisioned a series of gradual increases through 2025, when average fuel economy would rise to 54.5 miles per gallon. The Obama rules were intended to ensure progress made during the Democrat's presidency would extend beyond it. Automakers over the last decade have employed lighter materials and tweaked vehicle design to boost fuel efficiency, changes that have improved mileage on even the biggest US gas guzzlers. But the Trump administration has consistently criticized the policy as bad for the car industry. On Wednesday, administration officials depicted the proposed shift as a way to limit car prices for consumers, saying the Obama rules added $2,340 to the cost of owning a new car and have been a factor in the rise in retail prices to an average of $35,000 or more. But backers of the Obama-era rules dismissed these arguments, noting that more efficient fuel rules mean consumers spend less on gasoline, while reducing emissions that cause global warming. Dan Becker of the Safe Climate Campaign dismissed the Trump administration's arguments as a "parade of concocted horrors." "For an administration that is happy to let states set their own rules when it comes to weakening environmental protection, it's the height of hypocrisy to deny California and a dozen other states their right to protect their people from global warming," Becker said in a statement. The auto industry, which has often balked at the higher costs associated with the tougher US standards, has increasingly expressed reservations about the uncertainty that could be created by a protracted legal fight between the federal government and California and other progressive states. US automakers are also investing heavily on electric cars and low-emissions vehicles to meet strict environmental rules in China and other markets. On Thursday, the Alliance of Automobile Manufacturers called for talks between key parties to avoid such a morass. 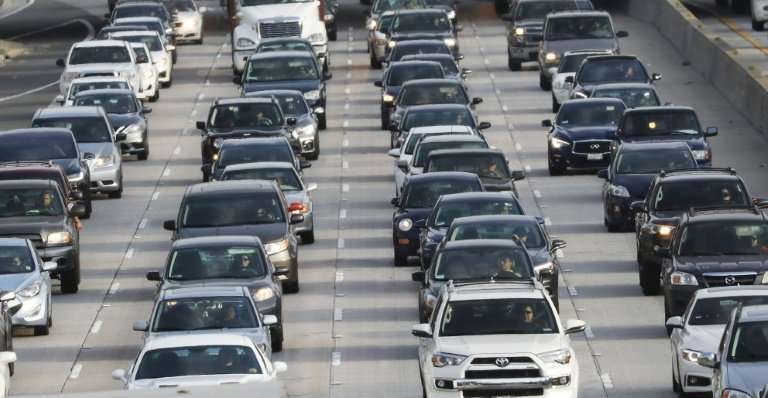 "We urge California and the federal government to find a common sense solution that sets continued increases in vehicle efficiency standards while also meeting the needs of America's drivers," the alliance said in a statement. During an earnings conference call last week, General Motors Chief Executive Mary Barra repeatedly emphasized the need for a single national standard on fuel economy. "What we ultimately would like is a one national program across the country," Barra said. "We are going to remain committed to improving fuel economy, reducing emissions and working toward an all-electric future, but we believe it is in everybody's best interest to have one national set of requirement that comprehends the new technologies." The debate on fuel economy comes amid friction between the Trump administration and the auto industry due to a Commerce Department review of whether to impose steep tariffs on auto imports. GM and other carmakers have sharply criticized the proposed policy. Trump last week said the tariff plan was on hold after reaching an agreement in principal with European Union Commission President Jean-Claude Juncker.